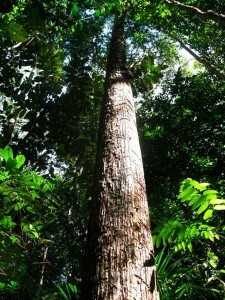 Go BIG Goes Global: Pineapples, Walls, Rain Forests, and More! First, a big thank you to everyone who helped get the Go BIG or Go Home blog to the #1 ranking in the “Reader’s Choice” category of Travel Blogs for Families on Babble.com! We’ve fallen slightly to the #2 position, which isn’t as BIG a position as we would like. We would appreciate your vote if you haven’t yet had a chance to show your love with a click on the thumbs-up icon! Erica in front of the World's Largest Pineapple! There are a few reasons why the “Go BIG” family doesn’t do a lot of international travel. So we leave the finding of the BIG stuff to helpful guest contributors, and live vicariously through them! Like Erica and Cassi, the enthusiastic bloggers at Nonstop World Travel. They get to explore far and wide, free from the burden of having to locate rectangular chicken nuggets for crabby youngsters. Sigh. In this month’s guest post, these insatiable travelers tell us about the BIG things they’ve seen in some intriguingly remote locales. No coercing was necessary; although, the Pineapple may have gotten cut if it hadn’t been en route down the coast of Australia. Thankfully, we got to thoroughly enjoy the giant tropical fruit. If there’s an opportunity to travel, we’ll take it. The idea of traveling to the Amazon was co-opted from a cousin who ended up backing out on the adventure, and the Great Wall was an add-on to a wonderfully free grad school trip to a conference in Suzhou. We also have a serious love for the quirky corners of the world, so Easter Island had been on the short list for a while. When we found the time to head down to South America, there was no resisting temptation. Next thing we knew, we were face to face with El Gigante and the rest of the Moai. 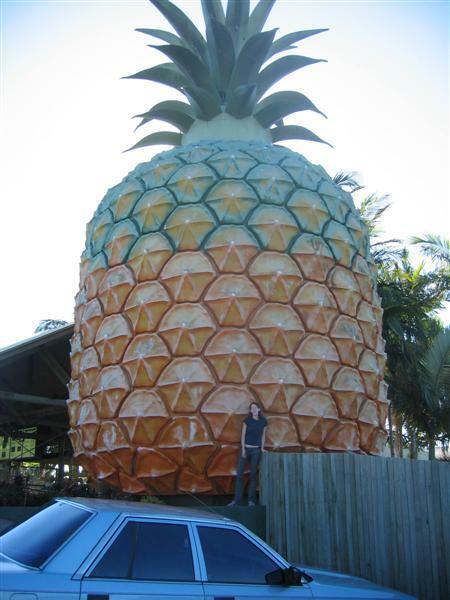 Similarly, when we found the world’s largest pineapple as a spec on Australia’s map, we had to pay it a visit.